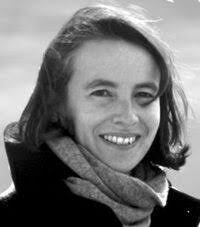 Frédérique de Vignemont is a CNRS senior researcher in philosophy in Paris. She is the deputy director of the Jean Nicod Institute as well as a philosophy scholar in residence at NYU Paris. She is also one of the executive editors of the Review of Philosophy and Psychology. Her research is at the intersection of philosophy of mind and cognitive science. Her major current works focus on bodily awareness, self-consciousness, and social cognition. She has published widely in philosophy and psychology journals on the first-person, body schema, agency, empathy, and more recently on pain. Her new book, Mind the Body (Oxford University Press, 2018), provides the first comprehensive treatment of bodily awareness and of the sense of bodily ownership, combining philosophical analysis with recent experimental results from cognitive science. She was awarded a Fulbright fellowship after her PhD to work at NYU and she was the recipient of the 2015 Young Mind & Brain prize for her achievement in advancing our knowledge about mind and brain. Vignemont has recently started a new project on peripersonal space (the space immediately surrounding the body). Peripersonal space can be conceived of as a buffer between the self and the world. Recent evidence in cognitive neuroscience shows that it has a unique multisensory and sensorimotor signature. In particular, seeing one’s body under close threat has a strong connection not only with action but also with evaluation. Over the years, Vignemont will develop a theory of affective perception, based on a comparison of danger perception, fear and pain.